So I'm back to posting photos from my UK trip! The Highlands will have quite a large number of posts since I took many photos of it! 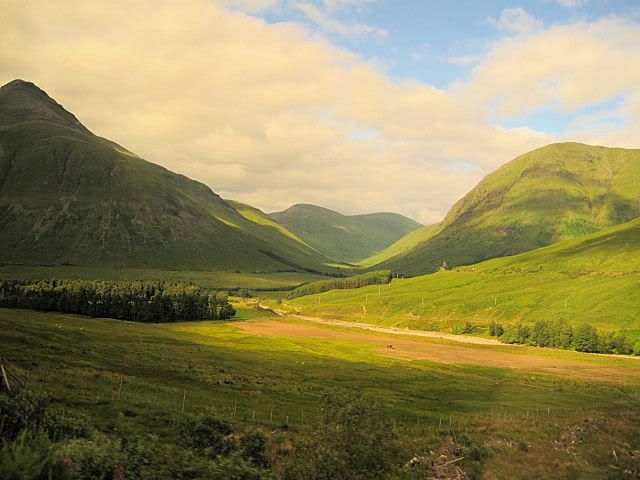 I visited the Highlands twice on my trip; before the HP fan trip and during the HP fan trip. Despite meeting Stan (Viktor Krum), seeing all those wonderful filming locations, and going to Paris the Highlands was by far my favorite part of the trip. Well, not quite. It's equal to how much I loved seeing Stonehenge. Anyway, I'm going to try to go on the other HP fan trip in 2011 and I'm definitely going to stay in the UK much longer then I did this year. 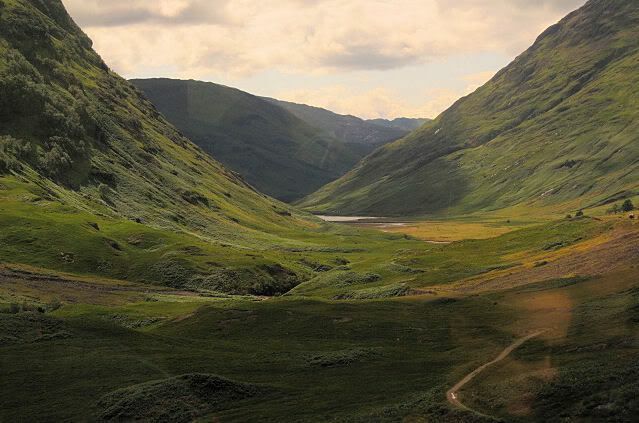 I'll make a real trip out of the Highlands, and this includes visiting the Isle of Skye and spending more then two days there. I couldn't even tell the first one was taken through a window. It doesn't even look REAL. It looks like something from a Disney movie or Lord of the Rings, I don't know it's just so perfect. And the bottom one is also gorgeous...I wonder if there is a way to photoshop that guys face out of it? You could probably at least blur that corner and then it wouldn't be freaky looking. Do you have photoshop? Thank you! The Highlands made me think the same thing, that it really isn't real. I do have Photoshop but taking something out of a photo is one of the things I don't know how to do. It's such beautiful country! Did you get to actually get out and go hiking in it or anything?